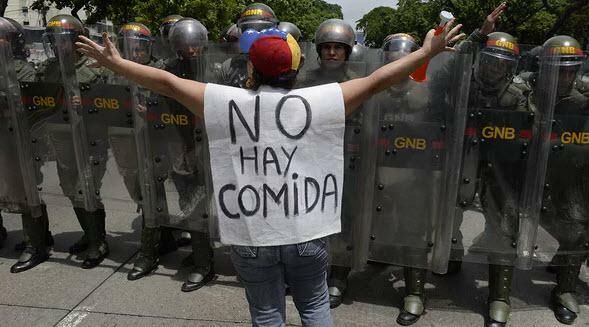 In Venezuela, "We Loot Or We Die Of Hunger"
While we have reported on previous incidents of looting, analysts are starting to fear that the current wave could linger amid the Venezuela’s economic freefall into a Mad-Max-like dystopia - very different from the promised-land of socialist utopian success promised by Bernie Sanders and his Latin American predecessors. It is clear that amid desperate food shortages Venezuelans are picking up new survival skills. “It makes you want to cry,” said Luis Felipe Anatael in a telephone interview with The Guardian. A hungry mob took just 30 minutes to pick clean his grocery store in the eastern city of Puerto Ordaz, hauling away everything from cold cuts to ketchup to the cash registers. “Whenever there are anti-government protests, they have more than enough teargas, tanks and troops to put them down,” he said. During the first few days of January the Venezuelan Observatory for Social Conflict, a Caracas rights group, recorded 107 episodes of looting and several deaths in 19 of Venezuela’s 23 states. As The Guardian notes, President Nicolás Maduro blames the country’s woes on an “economic war” against his government by rightwingers and foreign interests. But rather than reforming the economy, the government has resorted to handouts and far-fetched schemes. A newly formed ministry of urban farming encourages people to grow tomatoes and raise chickens on their patios and rooftops. But as they grow thinner some Venezuelans insist they have a right to take matters into their own hands. That was the case in the western city of Maracaibo, where residents recently swarmed into the streets, stopped two trucks filled with flour and candy, and emptied them. “We either loot or we die of hunger,” one of the looters, Maryoli Corniele, told Diario la Verdad, the local newspaper. As Daniel Greenfield recently wrote, this is what really happens when socialists run out of other people's money. Hugo Chavez had once touted the “marvelous community experience” of bartering. Now his collapsing narcostate is reduced to bartering its precious metals and jewels to survive. 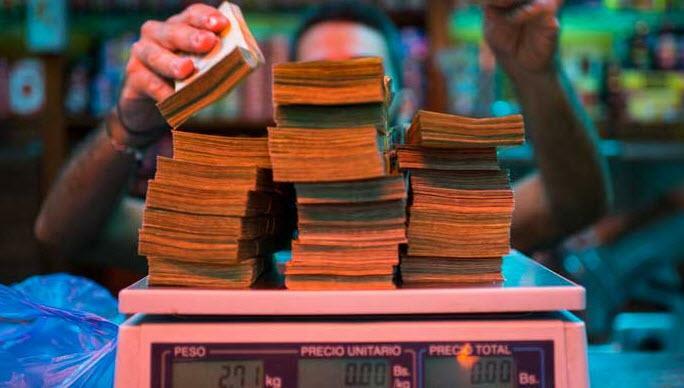 Ordinary Venezuelans have long ago been battling imaginary inflation in the real life horror of socialism by trading in their worthless money for subsidized products and then reselling them on the black market. But increasingly they’re just bartering them to avoid the increasingly worthless currency. 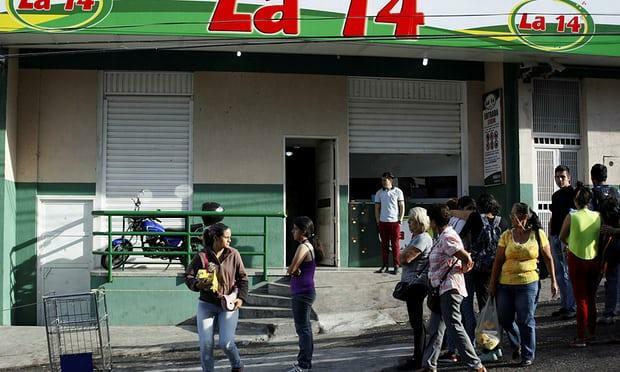 Venezuela’s new supermarkets are the Facebook groups where the people trade sugar for beans. It’s a marvelous community experience that Hugo Chavez’s daughter, the richest woman in Venezuela, hasn’t been able to share with the rest of the populace. When Maduro, the former bus driver driving the country off a cliff as its insane leftist dictator, began chowing down on an empanada during a televised speech, the mouths of his starving people watered and a million memes were born. But Maduro is promising Venezuelans that a replacement for money is coming soon. Venezuela’s dictator plans to create his own bitcoin, a cryptocurrency based on the only thing his failed state has, oil. Forget the ‘monero’ and make way for the ‘petro’. “The 21st century has arrived!” Maduro told a populace that is stuck in medieval times. Venezuela’s past technological experiments haven’t exactly gone well. The joint Iranian-Venezuelan car company produced a vehicle more radioactive than Iran’s nuclear weapons program. The Chinese Vergatario socialist smartphone comes in handy when bartering for groceries on WhatsApp. The ‘Petro’ will be backed by oil, gas, gold and diamonds. Except that Venezuela might be proposing to back its imaginary money with reserves that it already mortgaged to Russia. And that would make its imaginary money even more imaginary than it already is. But creating its own bitcoin would be a perfect solution by providing worthless money to everyone that wouldn’t even need to actually be printed. But it still wouldn’t be worth anything. And bitcoin is already in Venezuela. Tech savvy citizens who turned to imaginary money to escape worthless money aren’t about to switch to government money that’s both imaginary and worthless. What happens when socialists run out of money? They start pawning the family jewels for more imaginary money while creating conspiracy theories about a capitalist war on socialism. The left hates reality and math. Its theories turn money worthless. And you can’t eat theories. 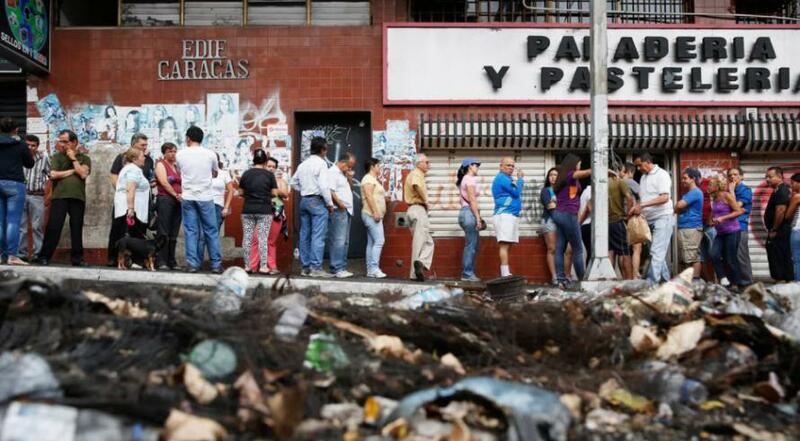 Venezuelan socialists took a booming economy, destroyed its currency and reduced it to a barter economy. That’s what happens when socialists finally run out of other people’s money. If you want to imagine the future of socialism, picture trading sugar for beans on social media. That’s the leftist economy of tomorrow brought to you by their welfare policies of today.